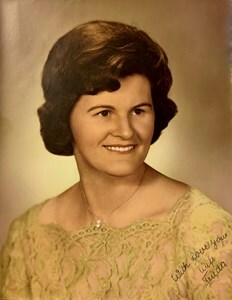 Newcomer Family Obituaries - Frieda H. Loudermilk 1932 - 2019 - Newcomer Cremations, Funerals & Receptions. Frieda H. Loudermilk, 86, passed away April 7, 2019. She was preceded in death by parents, Franz and Helen Heinrich; and daughter, Marina Loudermilk; foster daughter, Jessica Bulstrom; brothers and sisters, Ludwig, Martha, Maria, Dora, Adolf, and Helen. Survived by loving husband of over 62 years, Marvin E. Loudermilk; daughters, Jeanne (Andre) Szabo, Patsy (Mario) Andrade; granddaughters,Vanessa (Eddie) Perret and Fredericca (Jay) Kennedy; grandson, Jacob Szabo; great-granddaughter, Hope Perret; sisters, Emmy and Olga; brother, Franz; special niece, Sonya Tolkienne; as well as multiple nieces and nephews in the US and Germany. During her youth in Germany, little did Frieda realize her path in life would lead her into the arms of a US Army GI stationed in Regensburg. Frieda was a strong individual with a firm belief in God and her husband, Marvin, even during the physical separations as Marvin served in Korea and Vietnam spending over 22 years in the US Army. During these trying times, Frieda made sure her family continued to grow and thrive in a warm, loving, and supportive environment. She embraced her husband's family as her own, never hesitating to step in when her help was needed in addition to taking various jobs to supplement her family income. Frieda's delight in her life increased as her family grew to include sons-in-law, grandchildren and a great-granddaughter. One of Frieda's proudest moments was the day she was sworn in as a United States citizen, after completing a lengthy immigration process. The strength, self-respect, and determination that Frieda exhibited throughout her life has been bequeathed to her family. Visitation Sunday, April 14, 2019 from 1pm to 2pm with Funeral Service beginning immediately at 2pm at Newcomer, SW Chapel, 3393 Broadway, Grove City, OH. Fr. Leo Connolly of St. Cecilia will be officiating. In lieu of flowers, donations may be made to the American Cancer Society, PO Box 22718, Oklahoma City, OK 73123-1718. Add your memories to the guest book of Frieda Loudermilk. So sorry for the loss of such an amazing woman. I have many fond memories with Aunt Frieda including waking up in the middle of the night (probably like 10:30 pm but I was very young) to the smell of apple strudel and being allowed to get up and eat some. She also taught me the mystical secret of putting sugar on strawberries to make them far more delicious. Much love for her and the family. I am very sorry to hear about Frieda passing. She and Marvin were wonderful foster parents to my sister, Jessica Bulstrom. Jessica loved them very much and was happy with them. Frieda and Jessica passed within weeks of one another. My thoughts and prayers are with the Loudermilk family. I am very sorry for your loss. I enjoyed the times I managed to make it up to the reunion, and always enjoyed the stories of the time that Suzanne and the boys were able to stay with you. I will never forget the summers spent at your house, swimming in the pool, watching old cartoons, and eating what I remember to be homemade apple strudel in the middle of the night. I wish I could have been there to say goodbye one last time and get one last hug. I love you. Dear family over the sea, thinking of you in your time of loss. Aunt Frieda will always be in our heart. I have fond memories from the time when our families met in Butzbach and Achern as we were kids. With Uncle Pete driving the nice american car when we went to places and enjoyed the day together. Must be 50something years now. We were alway happy to see Auntie Frieda, Uncle Pete and Marina when they visited Germany. May all that have gone before us rest in peace. So many memories, so little space! Mamie always loved and supported us, even when she wasn't happy with our choices in life. Whenever she felt one of us had been wronged, Mamie swept in, all 5 feet 0 inches and helped the offender see the proper result, no matter their status nor height! Our family was its own world, based on love, respect and responsibility and anyone associated with us knew Frieda embraced them as extensions of our core lives. If I can exhibit a fraction of her dignity, strength and compassion, I will be pleased. Though Mamie's human shell lies discarded, all her life's lessons are instilled in her family. Godspeed, Mamie, I love you! Lots of love is in our heart when we think of Tante Frieda, her kind smile and lovely humour and the great relationship and love she had with Marvin and her family. We were always happy when they visited us in Germany. Dear Marvin and family, we are so very sorry for your loss and keep you in our thoughts. Aunt Freda was kind and loving and I loved and respected her for always making us welcomed in their home. I remember she made many great meals over the years. I pray she left the recipes written down. :) We will truly miss her smile and laughter. No goodbyes but I will see you later in Heaven. Our prayers are with the family always. Sorry about your loss cousin! !..We are here and praying if you need anything... From Chris Loudermilk and Family!!.. Was always so much fun at family reunions. Very kind loving beautiful lady . Sorry for your loss . One of the things I remember about Aunt Frieda was her love of Aldi. She couldn’t believe it when I told her I had never been to one. I also remember my family staying with her and Uncle Pete one time. After, the boys went to bed, Aunt Frieda made an apple strudel for the adults. Of course, the boys smelled it and didn’t stay in bed. When we raved about how good it was, she grinned and told me it was made from scratch...she had bought it at Aldi! We had a good laugh. Needless to say, I soon checked out our local Aldi, and left with some strudel. I wish I’d appreciated as a child how amazing she was. I wish as an adult I’d had more opportunities to know her more. I pray that my boys find the kind of love she and Uncle Pete had. You are all being held in my heart and in my prayers. Marvin and family we are so sorry for your loss. Freida was a lovely, caring lady. She will be greatly missed. Our love and prayers to you all.